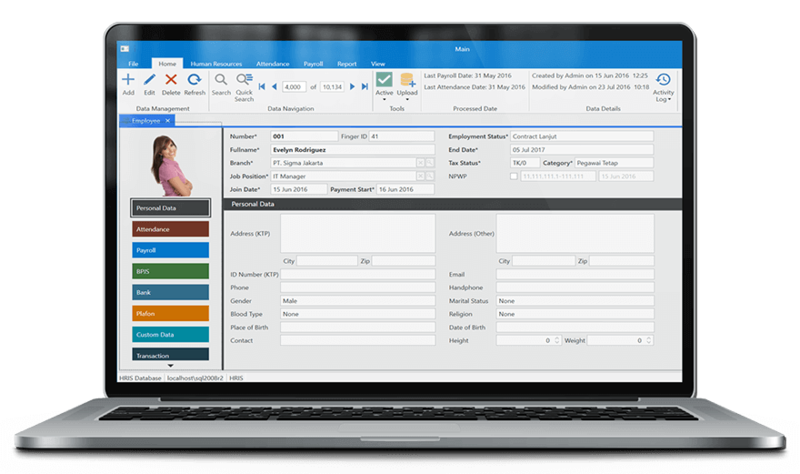 Sigma HRIS integrated with Web Based Employee Self Service to automate your HR & Payroll workflow. Sigma HRIS give you access to analyze your data with Graphic & Pivot Table to ensure swift customer experience. In this introduction phase, our representative will be presenting our product, and how our solution can improve your productivity. Feel free to ask, our representative will be very happy to help you. We will give free Consultation of HR, Attendance, Payroll & Tax PPh21 in Business Process Requirement Meeting with HRD Team. Before we set this meeting, we will send you Business Process Requirement Document. After you and your HRD fill this document, we will come to your office to review and understand your needs. We will offering solution of your problem based on our experience and expertise. Before Installation & Implementation, we will setup kick off meeting to confirm team project, schedule, and any pending issue. We will breakdown Implementation Phase into few milestones. This Phase contains Data Gathering (we will give you simple excel template), Training (we will come to your office to give training), User Acceptance Test (we will test the settings to run smoothly), and Live System (we will help you when you run the system in the first time). You will get 1-year free support and you can continue with maintenance subscription. If you had any question/problem, feel free to contact us by phone, e-Mail or remote support.